LANCE STEPHENSON IS COMING HOME. . .
With less than two weeks left before the playoffs begin, the Indiana Pacers are still sitting at a .500 record – with heavy inconsistency and chemistry issues causing them to under-perform. On paper, many of the basketball world expected Paul George to help the Pacers become the biggest threat to the Cleveland Cavaliers in May. However, roster additions and a head coaching change hasn’t done much for their efforts in the East. So much, that they’re actually looking to a past player to hopefully give them a late spark. Today, Adrian Wojnarowski of The Vertical has reported that Indiana is looking to re-sign veteran Lance Stephenson back to the team. If you remember in 2014, he turned down a 5-year and $44 million contract with the Pacers, where he believed his value was more at the time. Well, after bouncing around the league through multiple teams, the former high-school phenom found himself without an NBA home. Last fall, the Memphis Grizzlies declined to pick up on his 2017 option at $9 million. Now, the 26-year old swingman has struck a three-year, $12 million deal in the reunion – with the first two years being guaranteed. Earlier today, the team waived guard Rodney Stuckey, which cleared up immediate cap-room for their last second signing. With the core collective of Paul George, Myles Turner, Jeff Teague still carrying the bulk scoring load, this acquisition will add more depth to their team for April. It’s likely that this could’ve been a move and request by PG13 to ask for his former teammate back from Larry Bird. 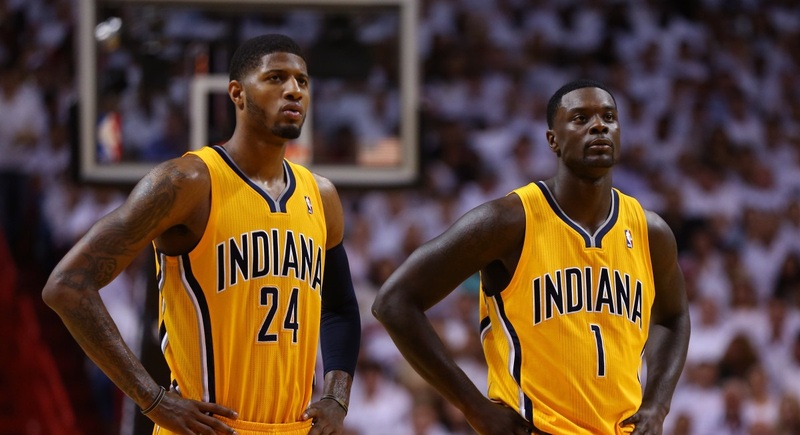 Let us know in the comments below if you think Lance will add value to the Pacers.